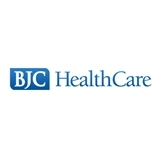 Boone Medical Group - Central (Columbia) - Book Appointment Online! Please arrive 30 minutes prior to your scheduled appointment to allow time for registration and paperwork. Also, please bring your insurance card, copayment, medication list and photo id. Redonda was very thorough during the interview and was easy to talk to.